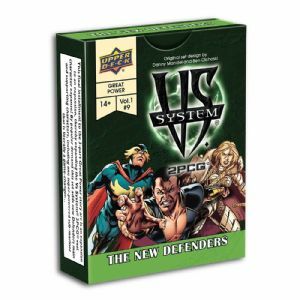 Vs. System 2PCG: The New Defenders expands on the 2016 release The Defenders by offering 55 new cards. Including Main Characters, Supporting Characters, Plot Twists, and a Special Location. 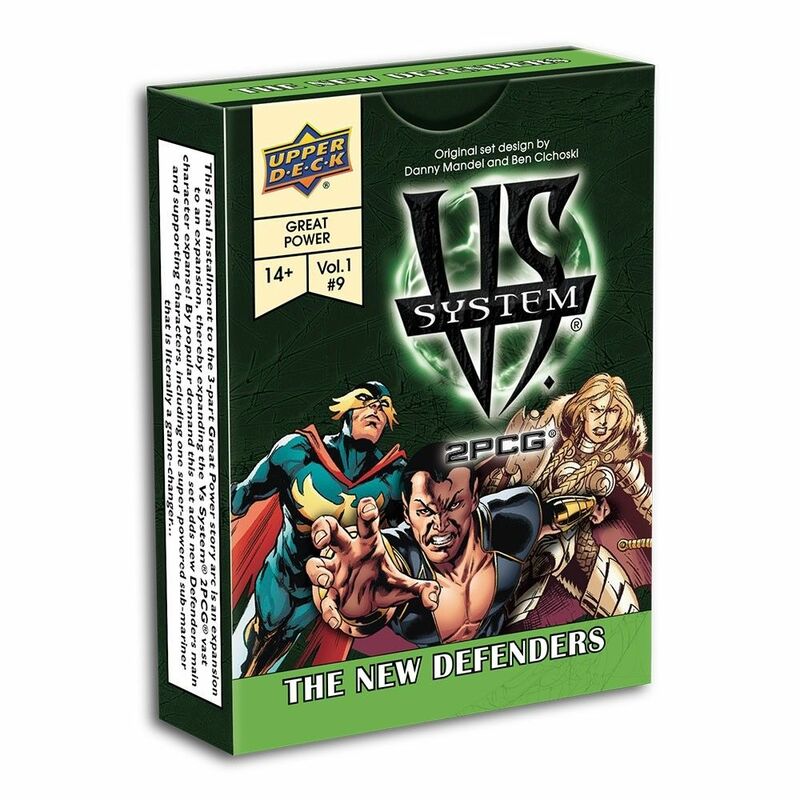 Vs System 2PCG: The New Defenders can be combined with any other Vs System 2PCG sets.